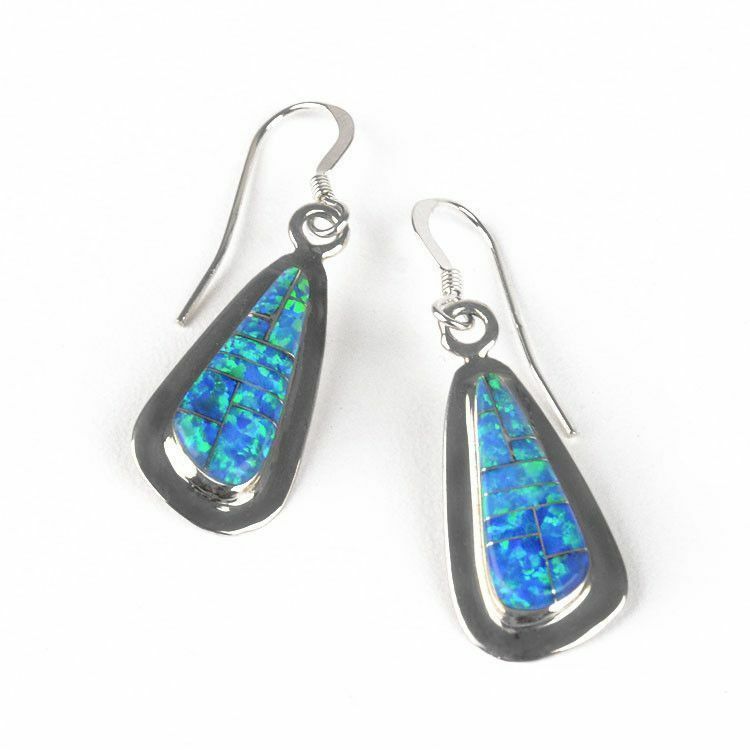 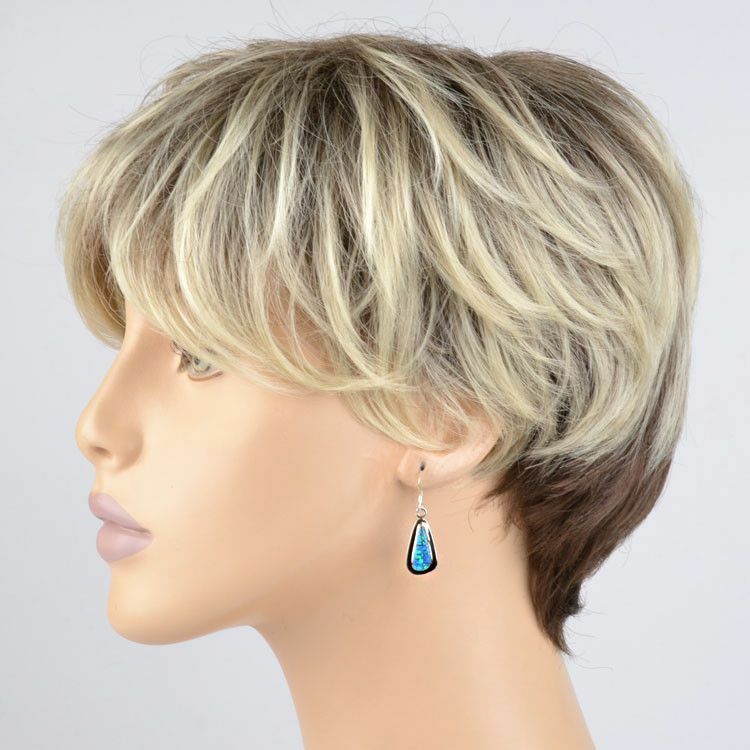 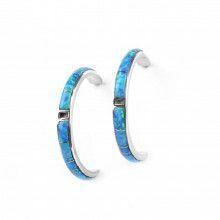 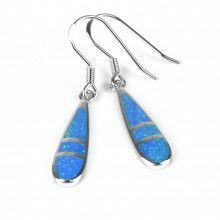 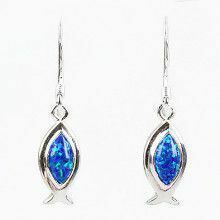 This pair of elegant earrings feature a sparkling blue-green opal gemstone that has been inlaid into sterling silver. 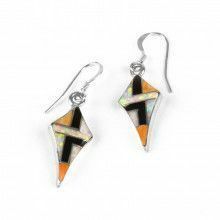 The triangular design of these earrings make them stylish and fun. 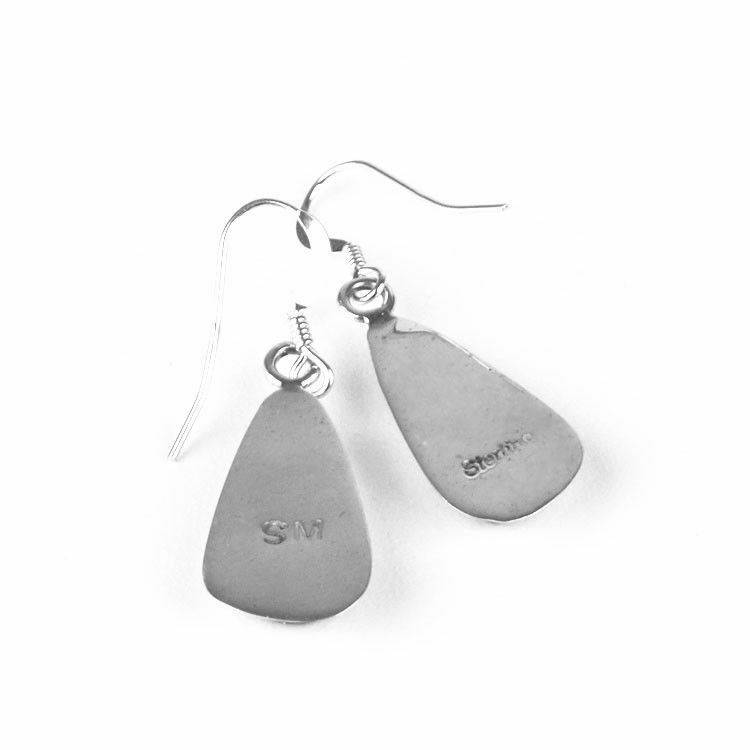 The earrings are about 1 3/8" in total length and have simple hooks. 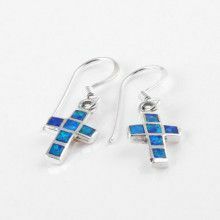 Drop is about 7/8" x 3/8"